The sire of Champions Abel Tasman and Caledonia Road and 21 graded stakes winners, sixth-crop sire Quality Road has become one of the most successful sires in North America. His five Grade 1 winners in 2018 made him the leading general sire by G1W that year. Quality’s Roads auction stats are nearly as impressive as his on-track dominance. He has sired two seven-digit yearlings, and boasts a 2018 yearling average of $312,898. He had a two-year-old average of $207,722 last year, with sales up to $800,000. Quality Road is by Elusive Quality out of Strawberry Road (Aus) mare Kobla. This is the family of Champions Ajina and Highest Trump. 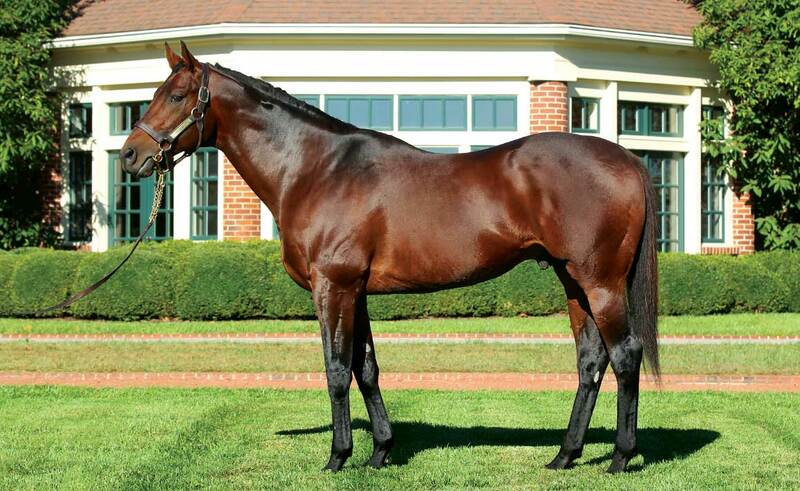 Among others, Quality Road has sired: G1 Breeders’ Cup Juvenile Turf winner Hootennany from a mare by Storm Cat son Hennessy; multiple graded winner Blofeld out of a mare by Storm Cat himself; and stakes-placed horses out of mares by Forest Wildcat and Giant’s Causeway. Storm Cat could also be brought in through lines such as Forestry, Stormy Atlantic, Stormin Fever, Tale of the Cat, Mountain Cat, Tabasco Cat and Harlan’s Holiday. 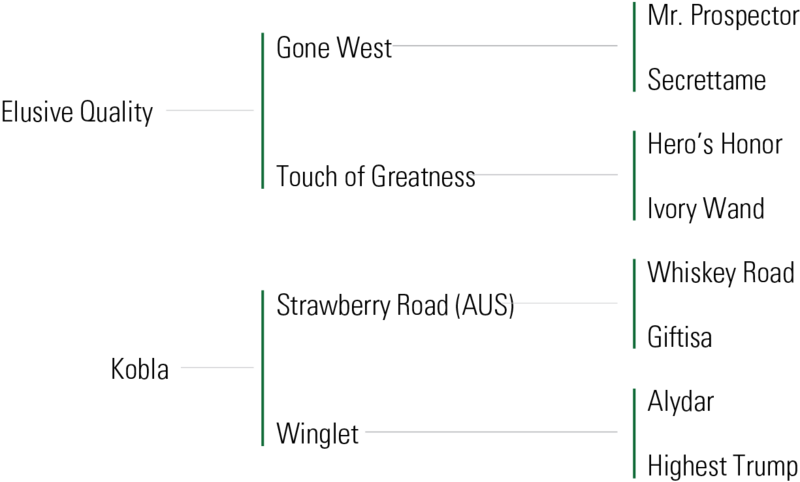 There are several other branches of the Northern Dancer line that should work well under Quality Road. 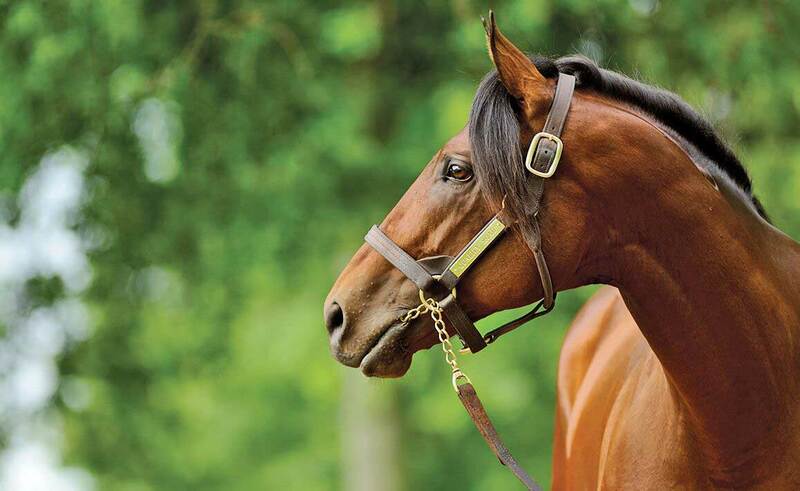 His sire, Elusive Quality, has been extremely strong over mares by Dixieland Band and his sons, with Dixie Union appearing as broodmare sire of a stakes placed Quality Road two-year-old. Deputy Minister line mares should also work well, particularly through Silver Deputy. 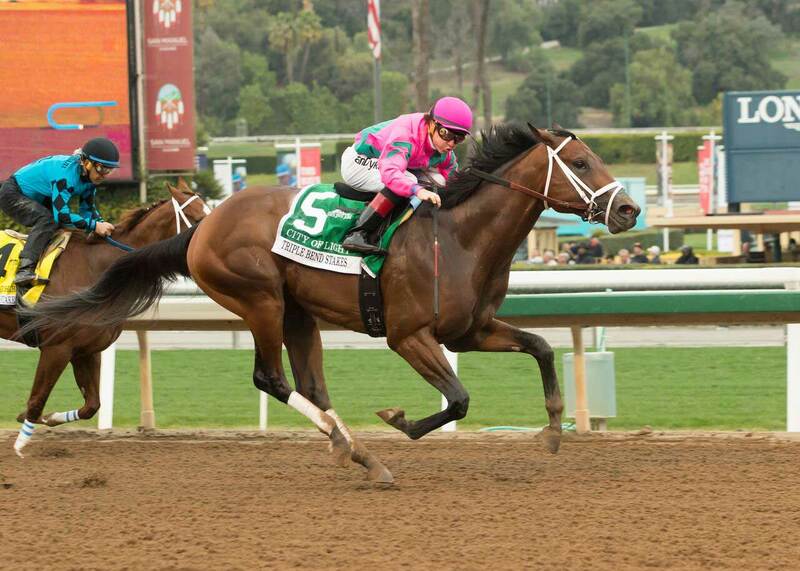 Elusive Quality, and the Gone West line in general, has enjoyed considerable success with Danzig-line mares, and Quality Road has stakes winner Overprepared out of a mare by Dayjur. Other promising sources of Danzig include Danehill and Belong to Me. WON a maiden special weight race at Aqueduct (6 1/2 fur., in 1:16.11, by 2 3/4 lengths, defeating Toulouse Lautrec, Headache, Dubinsky, etc.). WON Florida Derby [G1] at Gulfstream Park (1 1/8 mi., in 1:47.72, NTR, defeating Dunkirk, Theregoesjojo, Stately Character, etc. ), Fountain of Youth S. [G2] at Gulfstream Park (1 mi., in 1:35.01, by 4 1/4 lengths, defeating Theregoesjojo, Beethoven, Capt. Candyman Can, etc. 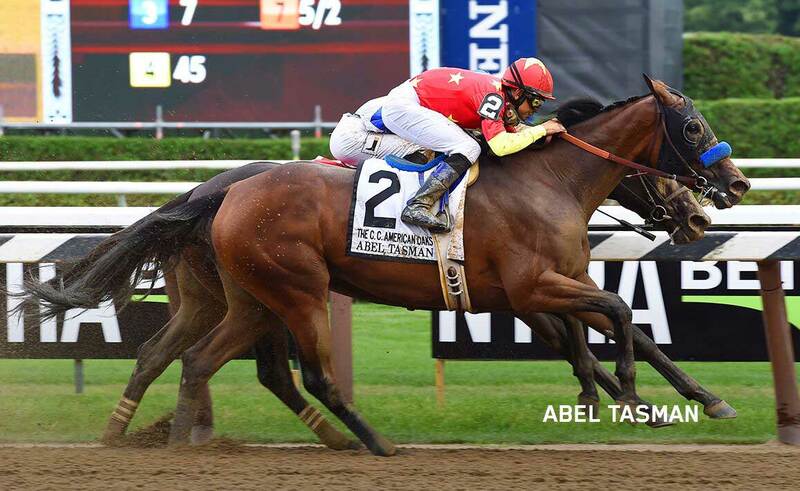 ), Amsterdam S. [G2] at Saratoga (6 1/2 fur., in 1:13.74, NTR, by 2 1/4 lengths, defeating Capt. Candyman Can, Captain Cherokee, Custom for Carlos, etc. 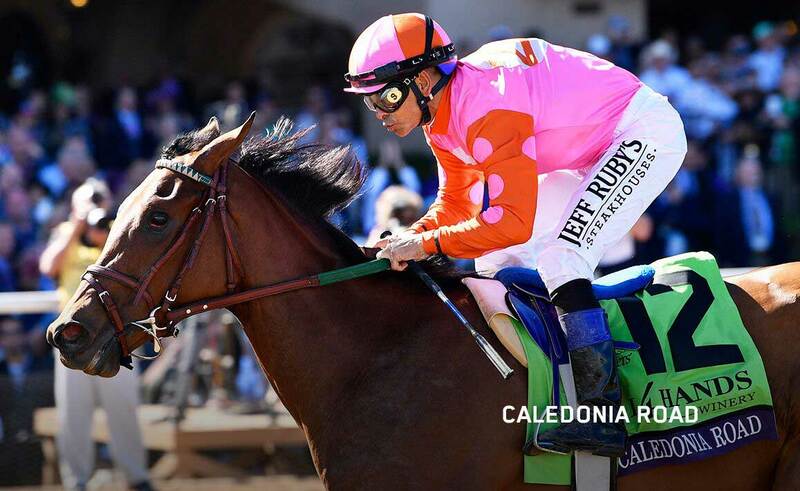 ), 2nd Jockey Club Gold Cup S. [G1] at Belmont Park (1 1/4 mi., to Summer Bird, defeating Tizway, Macho Again, etc. ), 3rd Shadwell Travers S. [G1] at Saratoga (1 1/4 mi., to Summer Bird, Hold Me Back, defeating Charitable Man, etc.). WON Woodward S. [G1] at Saratoga (1 1/8 mi., in 1:50, by 4 3/4 lengths, defeating Mythical Power, Tranquil Manner, Convocation, etc. 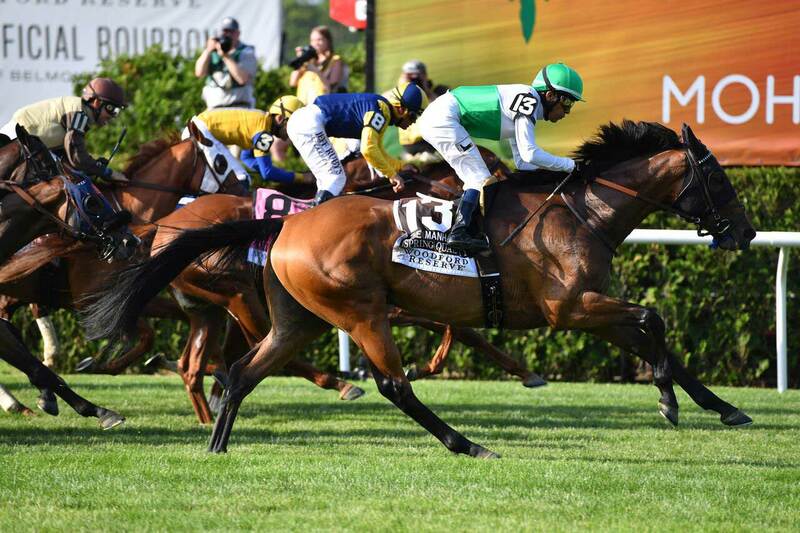 ), Metropolitan H. [G1] at Belmont Park (1 mi., in 1:33.11, defeating Musket Man, Tizway, Convocation, etc. ), Donn H. [G1] at Gulfstream Park (1 1/8 mi., in 1:47.49, NTR, by 12 3/4 lengths, defeating Dry Martini, Delightful Kiss, Mambo Meister, etc. ), Hal’s Hope S. [G3] at Gulfstream Park (1 mi., in 1:36.33, by 2 3/4 lengths, defeating You and I Forever, Congressional Page, Harlem Rocker, etc. ), 2nd Whitney H. [G1] at Saratoga (1 1/8 mi., to Blame, by a head, defeating Musket Man, Haynesfield, Mine That Bird, etc. ).